The Charlie's Angels director is a frontrunner to pilot the invisible jet for the new Wonder Woman television show. It looked like David E. Kelley's Wonder Woman project was dead in the water, but broadcast network NBC picked up the series at the very last minute. Now they're looking for a director to breathe life into the pilot, and director McG is said to be at the top of a very short list. TV Line's Michael Ausiello says, "Sources confirm to me exclusively that McG has emerged as the odds-on favorite to direct the pilot," and Ausiello's sources are usually correct. 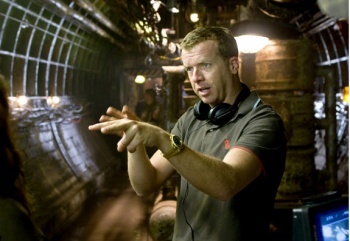 McG is better known for his film direction, with projects like Charlie's Angels, Charlie's Angels: Full Throttle, We Are Marshall, and Terminator Salvation. He's also dipping a toe into the "movies inspired by toys" genre, and is attached to direct a movie inspired by that sleepover staple, the Ouija board. This all may sound a little disheartening, but McG has directed television pilots before, most recently the premiere episode of Chuck. This Wonder Woman pilot has been yanked all over and isn't even cast yet; getting all worked up about each new development can be exhausting. I'm just going to approach this rumored development with mild trepidation.